Sales of heavy duty large industrial, big commercial and OEM ventilation fans, blowers and ventilators. Ventilation OEM engineers of OEM and chemical duty sealed fans and blowers. Suppliers of oven circulating and exhaust high temperature fans and ventilators - New York Blower, Twin City Fan, NYB, Chicago Blower and Northern Blower ventilation fans. Sales of regenerative blowers, high pressure ventilators, positive displacement pressure blowers. Oleg Blower Corporation is one of the North America's leaders in providing industrial air movement equipments - fans, blowers, ventilators. We have established long-standing relationships with many of the industry leading fan companies. Canada Blower AFE ventilator fume hood inline exhaust fan is an ideal choice for successfully removing undesirable fumes and gases from laboratory hoods, kitchen hoods, process operations, foundry operations and many other ventilation applications. Canada Blower AFE ventilator is not intended as a substitute for proper pollution control equipment, but rather a means to exhaust low concentrations of potentially toxic fumes out of and away from occupied spaces. Canada Blower AFE fan employs a specially designed non-overloading airfoil ventilator wheel. In a tubular centrifugal fan, the air turns 90° after leaving the fan wheel. A unique blower wheel design with open back plate allows this turn to be made with a minimum of turbulence loss. Also, the extra wide fan blade design helps deliver a larger air volume for a given ventilator wheel diameter. The AFE fan wheel improves overall efficiency and reduces sound levels. Canada Blower fume hood exhaust fans are the ideal choice for successfully removing undesirable fumes and gases from laboratory hoods, kitchen hoods, process operations, foundry operations and many other ventilation applications. Fume hood exhaust fans are not intended as substitutes for proper pollution control ventilation equipment, but rather a means to exhaust low concentrations of potentially toxic fumes out of and away from occupied spaces. With fume hood exhaust fans, the technology of high velocity and high dilution discharge can be applied to a variety of our standard air moving ventilation products, with many fan sizes to choose from, in direct drive or belt driven fans. 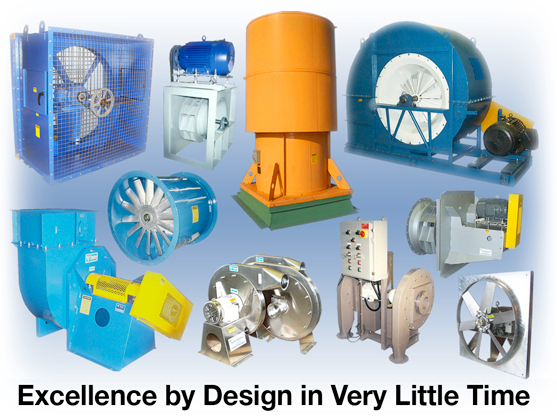 These choices exist in a broad line of AMCA certified, high quality air moving fan equipment. Typical fan applications include research / development, petrochemical, pharmaceutical, hospital / medical, biotech, industrial processes, and school and university laboratories ventilating.com fanblower.com highpressureblower.net industrialblowerfan.com industrialfanblower.net industrialfanblower.com pressureblower.net northernindustrialsupplycompany.com industrialpressureblower.com tenderall.com chicagoblowercanada.com cbblower.com buffaloblower.com buffalofan.com nis-co.com canadianblower.com olegsystems.com canadablower.com abbblower.com acmefan.net industrialblower.net fansandblowers.net americanblower.net barryfan.com cincinnatifan.net canadafans.com barryfan.net pennbarry.net pennfan.net tcffan.com. Model AFE fan incorporates a straight-line centrifugal flow fan wheel. This fan has the reliable performance of a centrifugal fan with the space saving advantages of an axial type fan. Because of a recent redesign of the product, the new AFE ventilator has many improvements. The AFE fan has a higher and broader efficiency range compared to competitive tubular fans and square inline fans. Higher efficiency allows for lower operating speed at a given ventilator performance. This, in turn, leads to lower sound levels, longer life span and more reliable operation. With its extra wide fan blades, the unique blower wheel design allows a larger volume of air to flow with a minimum of turbulence losses. Additionally, repositioning of bearings and drive components increases the bearing life. A removable discharge cone facilitates ventilator maintenance and service. Applications with larger fan motors feature a pivot-style motor base for ease of belt tension adjustments.